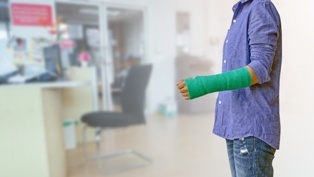 Some employees only rely on workers’ compensation benefits for a few weeks, and are able to return to their jobs once their injuries have healed. However, workers who have sustained life-altering injuries may need workers’ compensation payments for the rest of their lives, costing insurers thousands or even millions of dollars. In these cases, insurers may offer a settlement to claimants in lieu of weekly benefits. The most important factor in accepting a settlement is that it will officially close your case and prevent you from appealing the decision or disputing the amount you received. In Illinois, settlements are usually paid in a lump sum, meaning your weekly benefit payments will be discontinued. However, some settlements may be paid in installments, such as those involving wage differential claims or permanent total disability. As your future depends on the amount you secure for your injury, it is best to hire an experienced workers’ compensation attorney for settlement negotiations. Whether you have reached maximum medical improvement. You should never consider settling your claim before your doctor has declared your injury to be at maximum medical improvement (MMI). This designation means that your injury is not expected to get better even if you continue receiving treatment. Before you reach MMI, it is extremely difficult to tell how your injury will affect your ability to live and work, as well as how much it will cost to continue treating the condition in the future. Ongoing medical expenses. The majority of workers’ comp settlements in Illinois will discontinue all future medical benefits associated with the injury. For this reason, it is important to calculate a settlement that will pay for past hospital bills, ambulance rides, emergency care, surgeries, and medical-related travel, but also an amount for any treatment you may need years into the future. Depending on the details of your case, your attorney may be able to negotiate a settlement with an insurer that allows you to continue collecting medical benefits. An evaluation from an insurance company doctor. Insurance companies will often request that you undergo an evaluation from one of their chosen medical providers. This doctor will assign you an injury rating that will directly impact how much the insurer is willing to offer you. Your attorney can be present at this evaluation to protect your rights, and can also request a separate evaluation if the doctor’s rating proves inadequate. Compensation for non-medical losses. Your attorney can help you calculate the total value for your injury claim, including estimating how much your injury will impact your future finances. Job loss considerations may include lost income, future wage loss, costs of new job training, or total inability to earn a living. Your attorney can also take into account whether your settlement will affect your ability to collect Medicare, Social Security benefits, or other government benefits. In some cases, claimants can also request that insurers pay for the costs of their attorney fees as part of their settlements. Costs of permanent disability. Since benefits for permanent total disability could potentially continue until a claimant reaches retirement age, claimants may have a difficult time placing a value on these settlements. An attorney with experience in these matters may be able to more accurately estimate an amount, as he or she can calculate how much the insurer would have to pay based on your future entitlement to benefits. An end to dealing with the insurance company. One of the most common reasons claimants seek a settlement is because they are sick of dealing with the rules and requirements of the insurance company. As long as the insurer is paying the costs of your injury, you may be required to submit paperwork and undergo medical exams to prove the extent of your injury on a regular basis—and they may use this information to deny or reduce benefits at any time. A settlement can put an end to your dealings with the insurance company for good, allowing you to get the care that is right for you. If your employer’s insurance company has offered a workers’ compensation settlement, we can advise you on your next steps at no cost to you. Contact Tapella & Eberspacher today at (855) 522-5291 or fill out our online contact form to schedule your free consultation.